As a passionate and transformative leader with fiscally sound and innovative vision who champions university growth, inclusion, and community engagement, Dr. Betty J. Roberts retains over 30 years of experience in administrating all operational aspects within a collegiate environment with outstanding expertise in information technology, sustainability, finance and senior management. With a PhD in Higher and Adult Education in conjunction with a certificate earned in Financial Management, these tools propelled Dr. Roberts to pioneering positive change at various universities throughout her career that were in dire need of revitalized processes, renovations to antiquated facilities, and assertive influence and partnerships with community, corporate and government entities. As an agent of change with a mission to make a difference at small, minority-serving institutions with aging buildings and equipment, Dr. Betty J. Roberts researched universities in need of her visionary leadership, ingenuity and compassion to determine where her career path would lead. Her latest position as a Chief Operating Officer with the oldest and historically black public college, Alcorn State University of Mississippi (ASU), illustrates her proficiency in senior administration within a college institution. Beginning in 2011 at ASU, she managed eight direct reports and a $120 million budget in addition to overseeing all operations from student life to human resources, mail services, facilities and more. Dr. Roberts transformed numerous operations which accelerated her from Chief Financial Officer to Chief Operating Officer in just one year. Eager to transform flawed systems and erect needed ones, Dr. Betty J. Roberts reframed the University’s overall operations with a mature leadership style driven by her entrepreneurial prowess and optimistic, yet strategic financial ingenuity. ASU’s 26 year-old Follett Bookstore suffered a steady decline in revenue and commissions. Motivated to modernize and monetize this bookstore, Dr. Roberts energized her fellow colleagues while negotiating corporate contracts and successfully teamed up with Barnes and Noble to rehabilitate the bookstore. Follett Bookstore now boasts state-of-the-art computer technologies, a convenience store, branded apparel, discounted textbooks and trade books and financial incentives for scholarships. Steadily accomplishing her mission, Dr, Roberts identified wasteful and costly systems within the University and devised plans to increase efficiency which is greatly reflective in her project to update all printing machines across the campus at ASU. By converting the campus to a State Master’s lease on ultramodern copiers with printing, scanning, copying and emailing technologies, as well as a remote system linking to suppliers to signal low supplies, she saved the university $114k in printing, copying and supply costs. A dedicated leader of ASU’s faculty and staff and determined to enrich employee work ethic and performance, Dr. Roberts made strides to redesign the University’s Performance Evaluation Form, leading to clearer communication to employees on work expectations by helping managers identify strengths, areas needing improvement, and the necessary steps to take to increase optimal employee performance. Additionally, a simple reallocation of $1 million in funds effected 3%-5% salary increases, the first raise received in four years. Not only is Dr. Betty J. Roberts enthusiastic about creating fiscal efficiencies throughout the university, student and public safety are also a concern. Her implementation of the Emergency Management Response Plan drastically reduced disaster and recovery times for the University’s systems from 336 hours to 24 hours. Additionally, her quick action to enforce needed, yet missing policies that were once only in verbal form and standardize the campus police force to resemble a professional safety response team, ASU was immediately transformed into a safer campus for students to learn and flourish. Dr. Roberts is a major advocate of sustainability and green initiatives. While sitting as Chair of the President’s Commission on Sustainability during her tenure at ASU, Dr. Roberts sought to better position the University into a more earth friendly campus. Spearheading a process to establish the Office of Sustainability, ASU was finally able to provide programs for recycling, bike share, and support for the Parking Program. With a clear track record and passion for sustainability and green initiatives, Dr. Roberts paved the way for green programs in her role as a Vice President of Administration and Finance at the University of Central Missouri (UCM) beginning in 2006. Similar to her successes at ASU, Dr. Roberts deployed an Office of Sustainability at UCM and imposed an unprecedented 18-month, $36 million energy performance project with plans to drastically reduce the University’s energy consumption and carbon footprint. Tracking 26 campus buildings and addressing $20 million in deferred maintenance, this project reduced energy use by 31%. Dr. Betty J. Roberts’ drive for financial ethics and integrity, improved efficiencies and simply giving back to disadvantaged colleges rings throughout her career in scholastic senior administration. It is with these values that every year while Dr. Roberts was administrating at both ASU and UCM, the colleges’ external financial audit reports to assess Sarbanes Oxley compliance consistently revealed no findings. Her careful supervision paved the way for immense achievements at these once struggling institutions. Able to organically create resources to fund new programs and revitalize stalled processes, Dr. Roberts rebuilt and strengthened UCM’s financial standing. Concerned with the lack of facilities for fellow students at UCM led Dr. Betty J. Roberts to obtaining an approval from the Board of Governors for a $21 million bond initiative to begin construction. Overseeing the design and construction of the new Student Recreation and Wellness Center while simultaneously supervising a $17 million renovation of the Health and Human Performance Department, she retains the financial dexterity and orchestration to manage multiple full-scale projects with ease. Dr. Roberts’ efforts to end a long halt to erect these facilities at UCM are just one of many exhibitions of her drive to improve one university after another. Her capacity to forge positive change stretches beyond the vast display of knowledge Dr. Roberts has exhibited in the numerous transformations enacted in her role as a senior administrator. She has sat on various committees and boards primarily as the president or chair, including the Committee on the Status of Women and the Information Technology Planning Committee since 2007 among many others throughout her career. 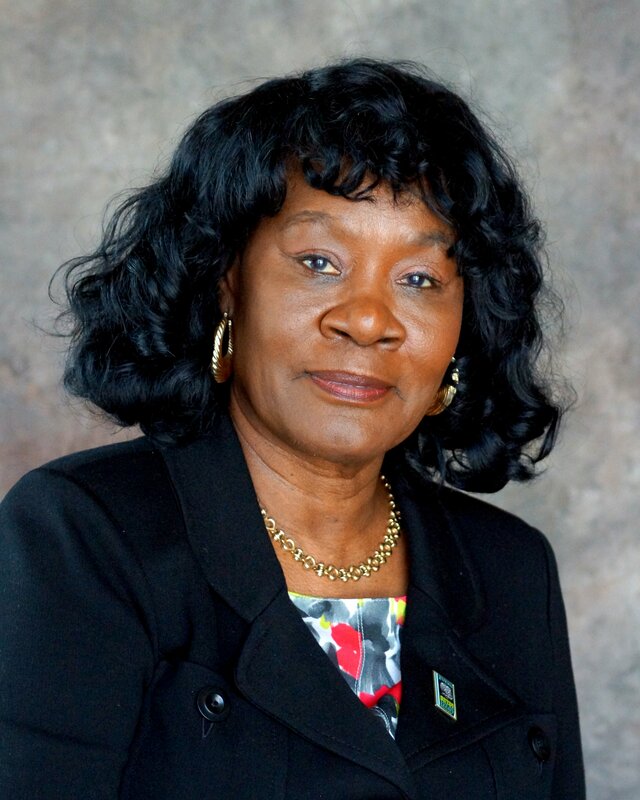 Building rapport with both stakeholders within the community and the universities, Dr. Betty J. Roberts’ work extends beyond the management of all institutional operations and into building essential relationships as well. Dr. Roberts has displayed her values in inclusion, ethics, and multicultural experiences within the university and community by taking pride in bringing students and faculty members to the platform to weigh their input on operational obstacles faced by the universities she has administrated. Her passion to connect with the community and inform on pressing topics is exhibited through various events in which she has been the keynote speaker. In 2010, Dr. Roberts presented for the Central Association of College and University Business Officers, “Balancing Green Initiatives with Deferred Maintenance through Building Retrofit Projects.” Shaping the minds of both students and educators, Dr. Roberts also presented on topics such as finance and budgeting, making smart shopping decisions, and information technology. Dr. Betty J. Roberts’ expertise and can-do attitude has won her a series of awards and honors such as her recent receipt of The Pennsylvania State University’s Administrative Excellence Award for Performance Methods and Achievements Exemplifying Excellence. Additionally, she has been recognized for her extensive work in the community and professional service through the Kappa Alpha Psi Community Achievement Award and the Outstanding Leadership award within the Colombia, Missouri community just to name a few. The magnitude of Dr. Roberts’ legacy is signified by the various college institutions that were impoverished and scraping by on ancient facilities upon her arrival and marveling in cutting edge technologies, green initiatives, and innovative financial practices by her exit. Betty J. Roberts’ mission to build “large school” opportunities for small-scale institutions does not end with ASU. Still invigorated by her successes and tenacious about executing affirmative change at forward-thinking universities who lack the means or resources, Dr. Betty J. Roberts will continue to press forward, transforming one university at a time.